Rex Holton Reddish, Sr., 83, of Phenix City, AL died at Columbus Hospice Tuesday, April 9, 2019 surrounded by his family. Graveside services with Masonic Rites will be held at 2:00PM on Thursday, April 11, 2019 in Lakeview Memory Gardens with Rev. Ricky Ward officiating according to Vance Brooks Funeral Home, Phenix City. The family will receive friends one hour prior to the service at the funeral home. Mr. Reddish was born December 27, 1935 in Buena Vista, GA son of the late Jerry Reddish and Geneva Whitman Reddish. 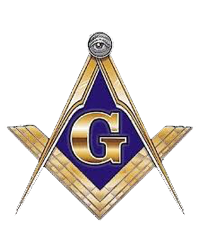 He was a Master Mason in the Wilson Williams Masonic Lodge # 351 and a Shriner in the Alcazar Shrine in Montgomery; AL. Mr. Reddish was also active with the Shriners Children’s Hospital and Grace Freewill Baptist Church. He was a Truck Driver by trade and was the owner of his own business and drove a bus for the CVCC. We will miss him in our daily lives, but always cherish him in our hearts. Mr. Reddish was preceded in death by his wife, Linda Koon Reddish, a son, Rex Holton Reddish, Jr., a brother, Lloyd Reddish, and a sister, Zellie Burks. Survivors include his three sons, Ronald Reddish (DeDe), Donald Reddish, all of Ladonia, AL and Benny “Danny” Reddish, Fortson, GA; one sister, Bonnie Cahoon (Jimmy), Dadeville, AL; three brothers, Neil Reddish, Phenix City, AL, Ronnie Reddish, Ladonia, AL and Jerry Reddish (Brenda) Phenix City, AL; 11 grandchildren, 15 great grandchildren and numerous nieces, nephews and friends also survive.